Blair Swaim grew up in Tyler graduated from the United States Naval Academy in Annapolis, MD, where he competed as a Division I track and field middle distance runner and team captain. Upon graduation, he served as a Surface Warfare Naval Officer for over 6 years, including sea tours on the USS ESSEX (LHD 2) and the USS MCCLUSKY (FFG 41) in San Diego, CA. He concluded his active duty service as a Military Science Instructor at Texas A&M University where he was awarded the NROTC Instructor of the Year award. In 2008, he joined Burns Commercial Properties. His broad knowledge of the East Texas market allows him to carefully evaluate opportunities for clients desiring to sell, lease, or buy commercial properties. He has developed a reputation of focusing on proven winning strategies of integrity, organization, and proactive follow-up and follow through. 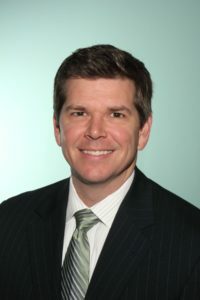 His expertise ranges from sales and leasing of office, medical, retail, and industrial properties to land transactions and development consultation. Blair enjoys spending time with his wife and two sons, serving as a leader at Grace Community Church, running, reading, hunting, and playing golf. He mentors Naval Academy candidates as a Blue and Gold Officer and serves on Congressman Louie Gohmert’s annual Service Academy Review Board. He is a Leadership Tyler Class 23 graduate, member of the Tyler Association of Realtors, and serves on the City of Tyler Planning and Zoning Board.